Laurin Quiat’s prominence as a litigator in the areas of products liability, construction, commercial and family law reflects an impressive record of achievement. 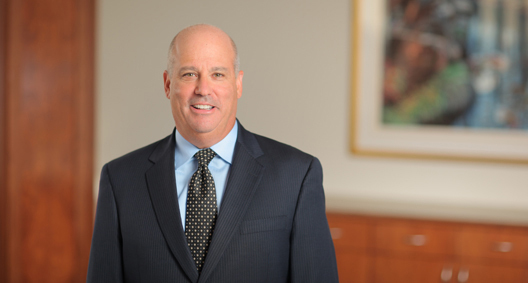 The leader of BakerHostetler’s nationwide construction team and managing partner of the firm's Denver office, Laurin has tried more than 100 cases to verdict, guiding clients to favorable conclusions in matters that ranged from a multi-week, wrongful death trial against an industrial products manufacturer, to high-stakes divorce actions involving million-dollar businesses. His skill in the courtroom even created legal precedent. Laurin’s representation of a manufacturer of an alleged defectively designed steering cable system not only led to a defense verdict on all issues, it also established that juries must be instructed in accordance with the more manufacturer-friendly, risk-benefit test only when a case involves primarily technical and scientific information. Laurin’s success gains notice: Among other honors, he has been ranked as a Colorado “Super Lawyer” for the past six years. However, client satisfaction is his greatest reward. Laurin is a firm advocate of his clients’ positions, he is well-versed in issues such as the tax consequences that result from divorce actions, and he enables clients to separate their business interests from their family law matters. Represented the manufacturer of an alleged defectively designed and unreasonably dangerous steering cable system in a multiweek jury trial in Colorado's federal court, obtaining a defense verdict on all issues. The decision, affirmed by the Tenth Circuit Court of Appeals, established new legal precedent, in which the jury will be instructed in accordance with the more manufacturer-friendly risk-benefit test only when a case involves primarily technical and scientific information. Represented the manufacturer of industrial products in a multi-week, wrongful dealth trial in Nevada. Obtained a complete defense verdict on all claims against the client. Represented the manufacturer of industrial products in a multi-week, wrongful death trial in Nevada. Obtained a complete defense verdict on all claims against the client. Represented a drilling and oil services company against claims by an oil and gas company in a case alleging breach of lease, early termination fees and improper performance under several oil and gas drilling contracts. Laurin and his team convinced the jury that the contract under which the corporations were operating was improperly constructed, securing a multimillion-dollar victory for the drilling company. Represented the owner of a Las Vegas resort in a project involving damages of more than $100 million. Pursued several specialty subcontractors, including the electrical and drywall subcontractors, for their delay and substandard performance. After several years of investigations and depositions, Laurin and his team secured multimillion-dollar settlements with each of the subcontractors and their insurance carriers. Represented many clients in complex divorce actions involving multiple million-dollar businesses, family partnerships and real estate trusts.